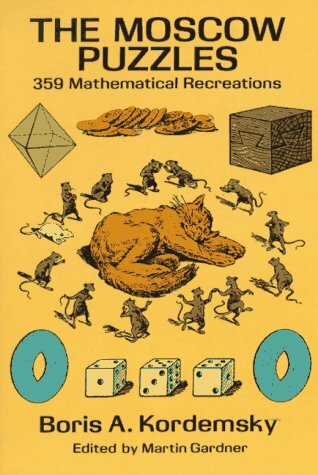 Most popular Russian puzzle book ever published. Marvelously varied puzzles ranging from simple "catch" riddles to difficult problems. Lavishly illustrated with clear diagrams and amusing sketches. Edited for English-readers, while retaining warmth and charm of original. Inexpensive edition of first English translation. Introduction by Martin Gardner. 425 line illus. Solutions.